Our 784 Series of ruggedized pressure switches can now address more applications than ever, thanks to the addition of a compact 2-pin Deutsch option. 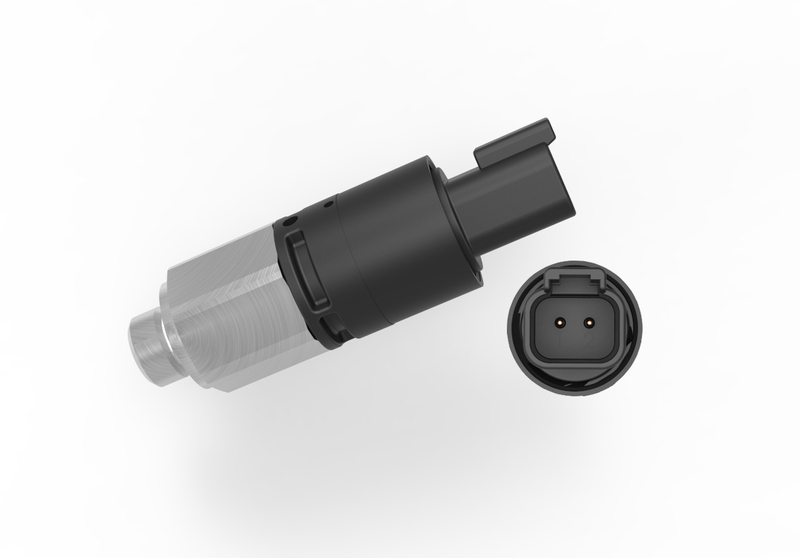 Other than the change in connector, the pressure switch offers all the same performance characteristics as the original 3-pin Deutsch version. IP67-Compliant Pressure Switch. Whether 2- or 3-pin, the 784 pressure switch complies with IP67 standards for maximum environmental protection. This model thrives in tough environments containing oil, fuel, water, dust, vibration or shock. Other Features. This customizable pressure switch also features a snap-action electrical switch tested to one million cycles, gold contact switches for dry circuit applications, high overpressure capabilities and custom configurations. In addition, this model meets UL safety standards and NEMA type 4 outdoor applications and instances where water is present. You can learn more about our design approach to ruggedized sensors in our latest white paper.